With an industrial/commercial real estate broker as a father and a natural talent for closing a sale, Sean seemed destined to work in the industry. After a successful career in commercial real estate, Sean made the bold move to residential real estate, focusing on the buying and selling of homes and apartment buildings in the South Bay becoming a top-producing agent in the area. With is background in commercial real estate, Sean is also being able to use his expertise to assist with any commercial real estate needs in the South Bay. Here he shares with DIGS Magazine his real estate expertise and passion for the place he grew up. 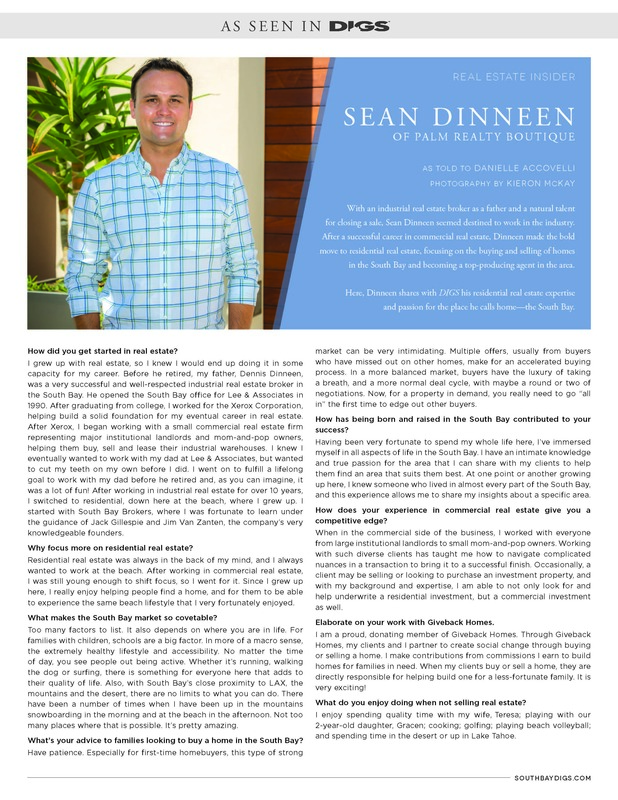 Click on the image below to get to know more about Sean.